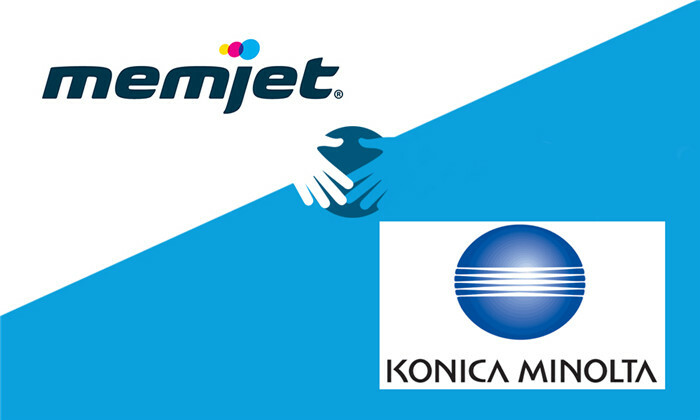 Konica Minolta Business Solutions U.S.A., Inc. (Konica Minolta) today announced a strategic partnership with Memjet. Combining Memjet’s printing technology with the hardware expertise of Konica Minolta has resulted in the creation of digital inkjet print and labeling solutions that deliver the speed, quality and affordable cost of ownership that print and label providers need to succeed in today’s changing markets. This high-speed digital label press prints a continuous roll or pre-die-cut media up to 9.5″ wide on a variety of substrates, enabling label providers, brand owners and manufacturers to produce high quality, colorful labels for a variety of products.